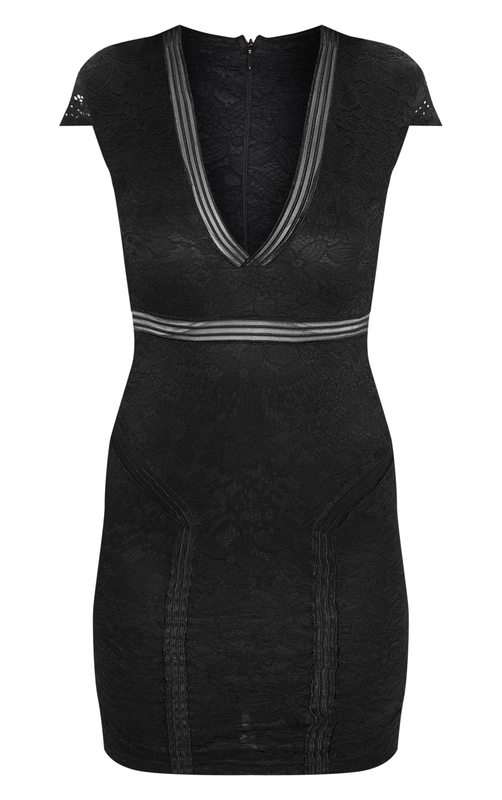 Take the plunge with this seriously chic LBD. Featuring a black lace material with mesh detailing, cap sleeves and a figure-worshipping fit, we are obsessed. Team it with some strappy heels and hoop earrings to finish off the look.